As i prepare to return to Bhutan after 7 years, i’m compelled to look back at my first trip to the Royal Kingdom of Bhutan – “the last place on the roof of the world” as it is rightly called. Cocooned in the mighty Himalayas, the rich country offered us the best of nature, climate, peace and tranquility. Entering Bhutan is almost a privilege for any Indian – just carry a passport / voter ID card simply for proof of Indian citizenship and you’re welcome to explore the virgin beauty for upto 14 days with a special permit issued almost immediately. By road, you enter via the Indian town of Jaigaon into the Bhutanese town of Phuentsholing. By air, you could fly Kolkata-Paro or Delhi-Paro thru Druk Air – the only carrier which can fly you to Bhutan. Damages: ~4-5K INR. Today, you can also fly directly from Mumbai with Druk Air’s new routes in operation. I flew down Mumbai-Kolkata-Bagdogra —> took a cab to Siliguri and then —> a 5 hour bus to Jaigaon – all in a day’s time! Reaching the border of India-Bhutan by road and standing in front of the Royal Gate was an incredible experience in itself. Stayed in a guesthouse overlooking it. They had an awesome restaurant called ‘Vatika’ – highly recommended. The rooms were spartan and just about OK. The process is fairly simple, and our guide Sonam Wangchuk from our local operator ‘Lhomen Tours and Travels’ took care of it. 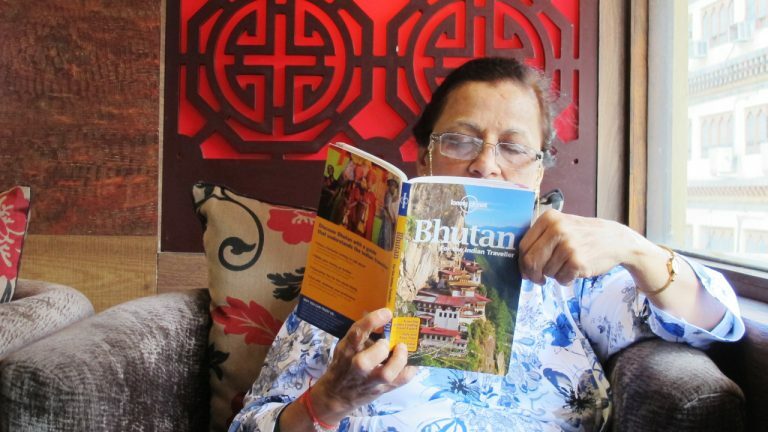 It’s best to do your bookings with a tour operator before reaching Bhutan so that paperwork is faster and hassle-free. Once done, we headed off to the capital city of Thimphu in a Toyota minubus. The journey was awesome – clean chilly air, breathtaking views of mountains and valleys and random passerbys waving out to us ‘foreigners’. Reached Hotel Wangchuk in the evening and settled down. Lunch @ 13,000 ft. – drive – stopover at Dochula Pass – Overnight at local farmhouse. The trail winds up on a slow climb through fields and then ascends the Tselela pass (3400m), which is our lunch stop. Then descends gradually for some time through forests of juniper, bamboo, magnolia and rhododendrons. After the last short climb, reach Gogona village. The people of Gogona were originally nomads and they speak a language called Bjopkha (language of namds). Climbed up a gentle slope to Shobjula pass (3400m), then down to a wide valley of Khotokha, a summer place of people of Sha (under Wangduephodrang district). Short ascend lead to Mulaila pass (9200ft), then the path descends through an ever changing vegetation till the bridge in Wangdi (Chuzomsa). The trek was approximately 4-5 hours. From Chuzomsa the vehicle brought us to Paro in about 5 hours. All day sightseeing in and around Paro with a visit of Drukyeldzong, Museum, Paro Dzong. Check out my Bhutan Photo-essay on Flickr – arranged by Trek, Arts & Architecture and People. 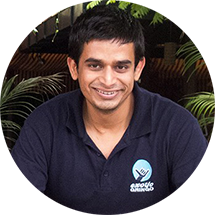 Special thanks and mention to my old friend Prateek Deo, who has accepted me as his trekking protege and shown me a Life Away From Life!